The Dubai Sports Council and Dubai Courts have signed a cooperation agreement to unify the efforts of the two parties in raising awareness about the importance of education and social values among the youth. 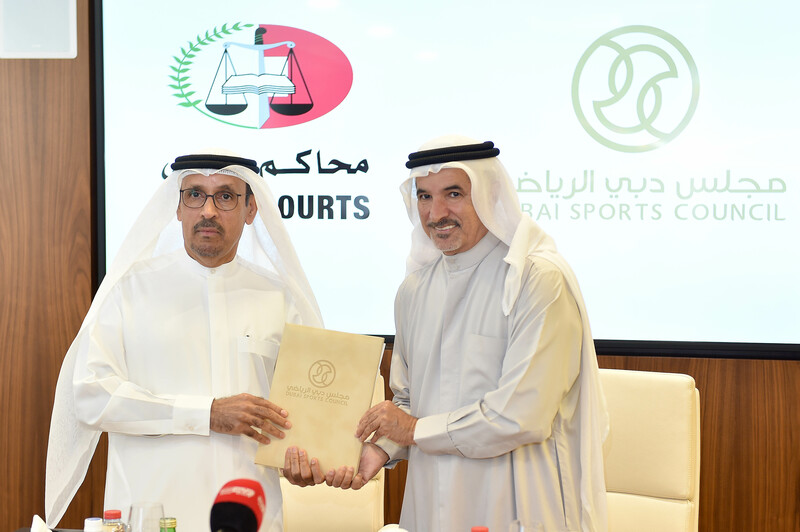 The agreement was signed at the headquarters of the Dubai Sports Council by HE Saeed Mohammed Hareb, Secretary General of Dubai Sports Council, and HE Taresh Eid Al Mansouri, Director General of Dubai Courts. The agreement falls within the framework of the UAE’s national agenda and Vision 2021, with focus on creating awareness about the nation’s core values through education and the use of different public platforms and media. The role of the two parties in the implementation of this agreement is complementary as the Dubai Sports Council strives to develop sports in the Emirate of Dubai and aims to create a comprehensive sports environment that responds to the needs of the community, while Dubai Courts, through the "Friendship and Mercy Team", seeks to play a prominent role in this area by reaching out to players of different age categories in Dubai’s clubs and supporting them. Dubai Courts’ plan includes conducting regular lectures at clubs different topics, holding workshops for the players and honouring outstanding academic performers among the players by giving them prizes at the end of every semester. The two sides also plan to jointly organise events to promote sport and a healthy community lifestyle. 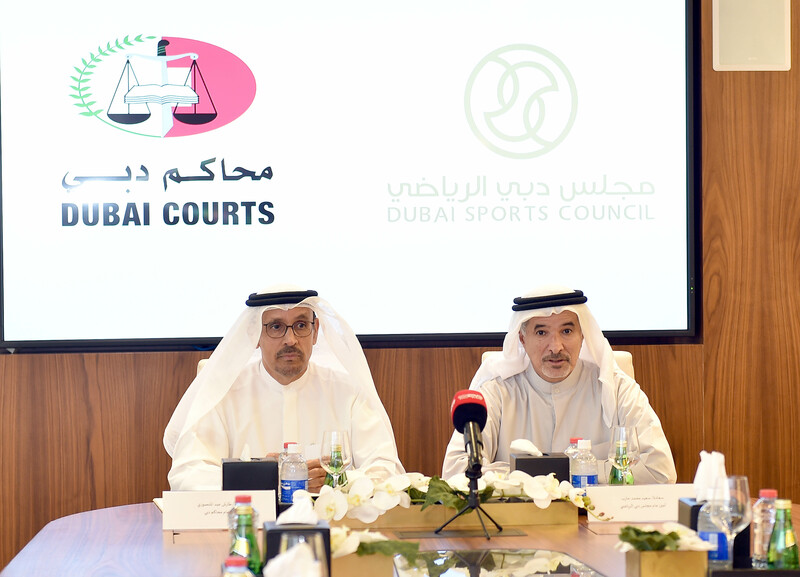 "We are delighted to cooperate with the Dubai Courts in caring for young athletes from various educational and sports fields,” said Saeed Hareb. “We believe that the protection and care of future generations is a national task that everyone must work together to achieve.